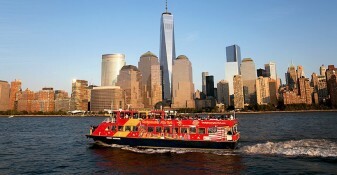 See the best of the Big Apple with the All Around Town Tour! 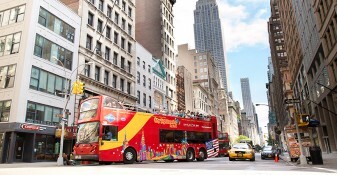 This 1-day double-decker bus tour pass includes unlimited access to 4 great tour loops so that you can see all that New York City has to offer! Sit back and relax as our knowledgeable tour guides walk you through the history and background of the spectacular views and iconic sights you will come across on the tour. 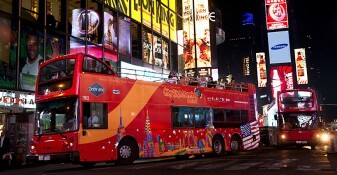 With must-see attractions like Times Square, One World Trade Center, 9/11 Museum and Memorial, the Brooklyn Bridge, the old Yankee Stadium, Central Park, and more, you’ll get the full New York City experience from the comfort of our double-decker bus! Want to explore areas of the city up-close? 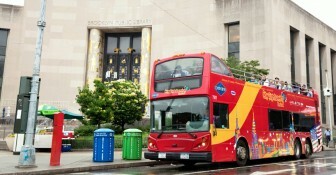 Just hop off at any of the tour stops, explore, then hop on the next bus when you’re ready! 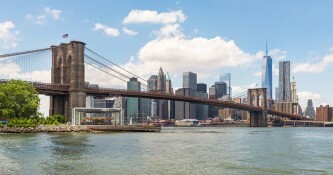 Hop off at Chinatown to indulge in some dim sum; walk around Little Italy while gulping down gelato; delve into boutique art shops in Brooklyn’s DUMBO neighborhood! 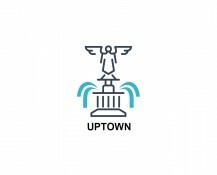 With unlimited hop-on hop-off access on Downtown, Uptown, and Brooklyn tours, we can get you everywhere you want to go. 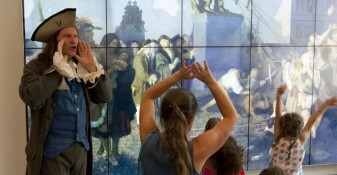 If you are a history buff, then you’ll love the fact that all ticket purchases also include free admission to the Museum of the City of New York or the New York Historical Society – the choice is yours! 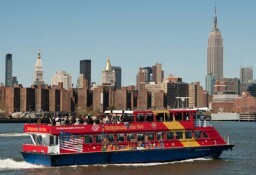 Hop aboard the CitySightseeing New York Hop-on, Hop-off Ferry (also included with your pass) for an alternate view of the Big Apple. And with the Eat and Play Card, up to 4 people can save anywhere between 10% - 50% off their total bill at 100 of NYC’s top restaurants, attractions, retailers and more. 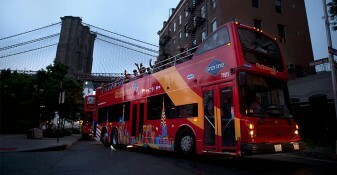 Book your All Around Town 24 Hour Tour today and turn your New York City adventure into an unforgettable one! All Around Town 48 Hour Tour - Add an extra day to the All Around Town 24 Hour Tour. This is a great choice if you have an additional day to experience more tour stops! All Around Town 72 Hour Tour - Add two extra days to the All Around Town 24 Hour Tour. This is a great choice if you have additional days and want to explore the city some more! 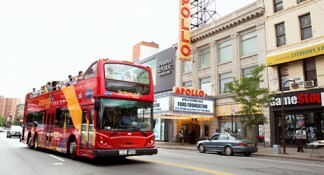 All Around Town 48 Hour Tour + 1 Attraction: Add an attraction ticket to the All Around Town 48 Hour Tour. 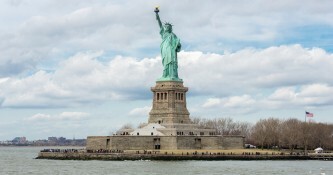 Get access to all loops included in the 48 Hour Tour PLUS your choice of admission to one attraction – choose from NYC’s most popular attractions. This is a great choice if you plan on visiting a museum or attraction during your visit, and also if you want access to the bus tour for an additional day! 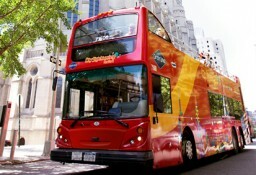 All Around Town 72 Hour Tour + 1 Attraction: Add an extra day to the All Around Town 48 Hour Tour, and also add an attraction ticket to your itinerary. 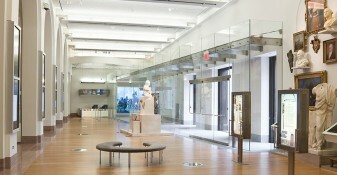 This option includes your choice of admission to one attraction – choose from NYC’s most popular attractions. This is a great choice if you plan on visiting a museum or attraction during your visit, and also if you want access to the bus tour for additional days. FreeStyle Pass 3 - Experience all that New York City has to offer with one convenient pass! 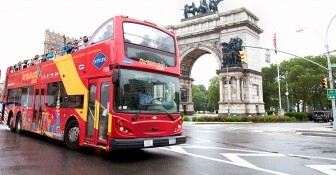 This pass Includes the All Around Town 72 Hour Tour PLUS your choice of admission to any 3 attractions –choose from NYC’s most popular attractions. 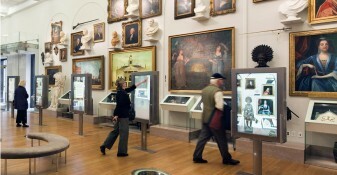 This is a great option if you plan on visiting multiple museums and attractions with your bus tour. Customers can save more than 40% compared to buying these tickets individually! 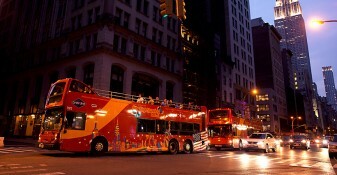 Our All Around Town 24 Hour Tour is valid for 24 hours. A 1-day/24-hour pass is valid for 24 consecutive hours from the time your ticket is scanned on the bus.